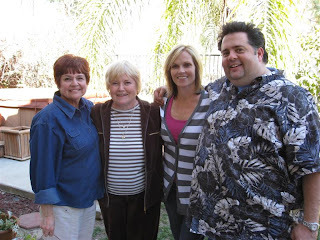 My Aunt Adele and Cousin Renee came by today to see me and visit for a while. It was great to get to see them and chat about my past week. They drove quite a while to see me so that was very nice. We did some backyard fruit picking before they left to go back home.